If you’re in Northern California – this is the place to be! 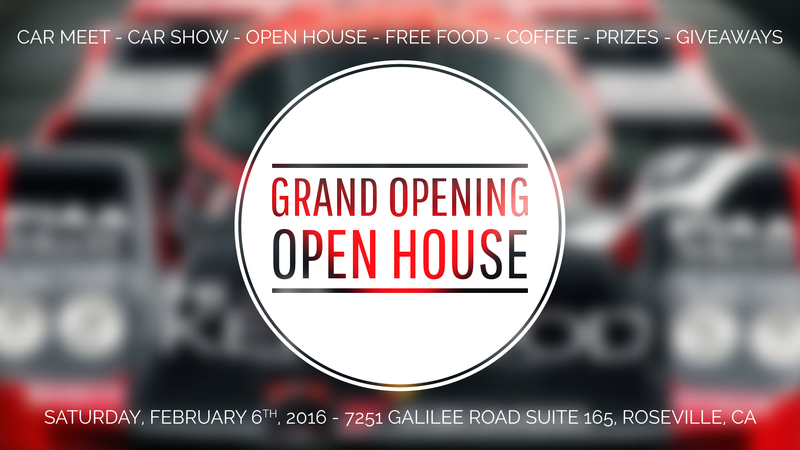 Saturday, February 6th at 9am at our new shop in Roseville. It’s gonna be off the hook! Hey everyone! We’ve been working nice long 16 hour days while both moving into the new shop and working on filling the tremendous volume of orders we’ve been experiencing (thank you all for that!). 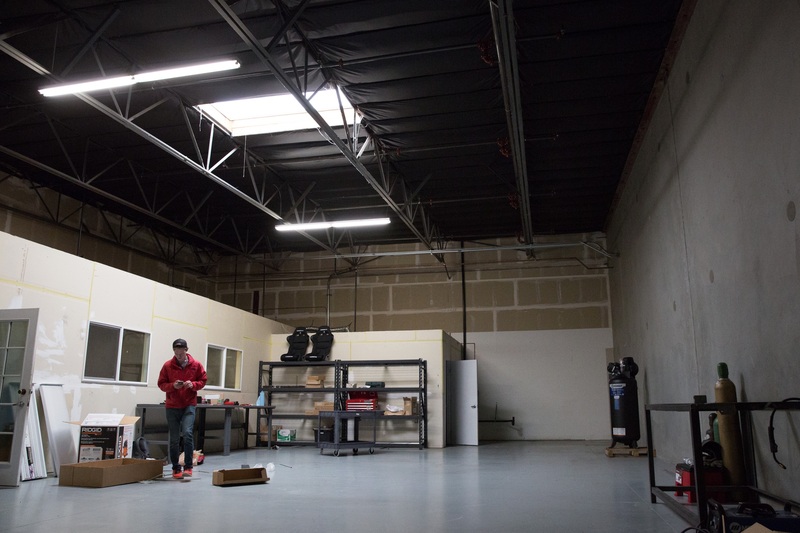 This new shop space will give us both the space and the added time/productivity to continue to fill orders quickly and develop some awesome new products that we’re excited to announce in the coming months. Hey everyone, just a quick FYI, we will be out at the SEMA Show in Las Vegas this coming week. 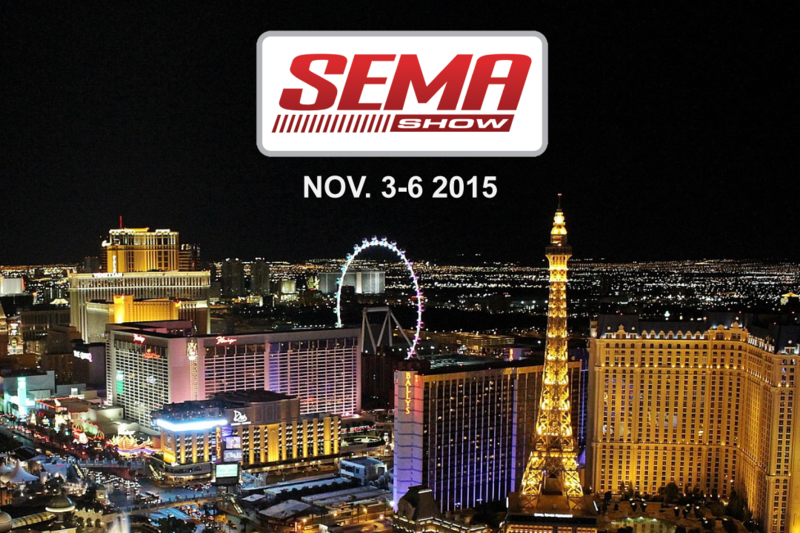 If you’re going to be out at SEMA, give us a shout on social media or via email. If you’re not going to make it out there this year, be sure to check our Facebook, Instagram, and right here on our blog to see daily photo coverage of the cars, booths, and people. If you place an order during this time, please give us a couple extra days to ship it out, since we will be out of town and not able to process orders until Monday. Standard length sweater support rods are processed through our film in network, so they should ship out as normally scheduled. 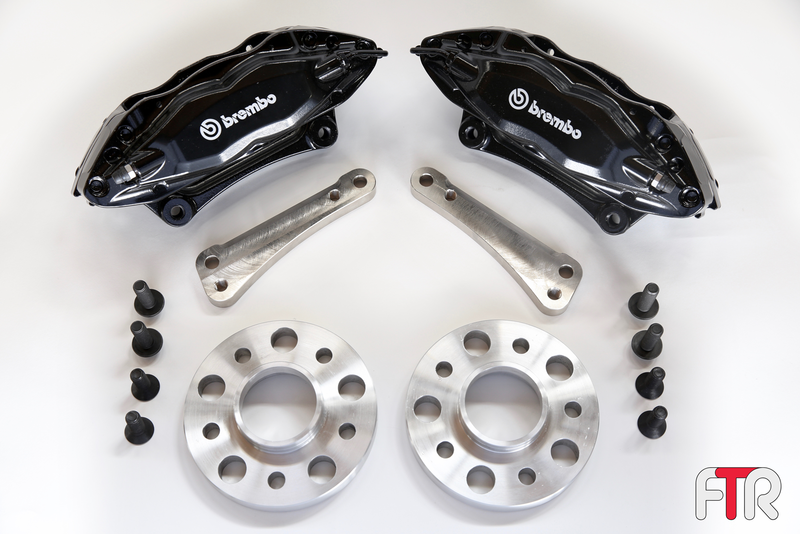 94-04 GT500 Brembo Kit – Pre-Orders Now Open! Hey everyone! Now that the final designs and prototypes are done, we are all ready to go with our GT500 Brembo Kit. I know that a lot of you have been waiting very patiently, and I have spoken to many of you personally over the phone, so I know that we have had a huge demand for this kit to finally be brought to market. 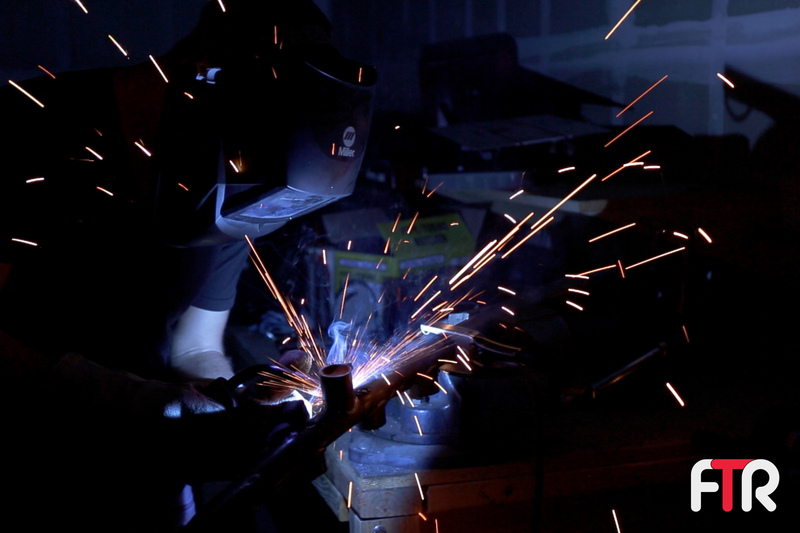 I’m excited to say that we’re finally rolling into the production stage! Pre-orders are subject to discounted pricing of $375 (list price: $450). We expect to ship the first production kits on October 1st. They will ship out on a first come, first serve basis, so we will ship the kits out in the order that we receive the requests. Announcing our GT500 Brake Kit! This kit includes the necessary hardware to mount 4 piston GT500-spec brake calipers to 94-04 Mustang spindles. A set of 3/4 inch custom spacers (included) are required to use this kit. This will add to your wheel’s offset, so plan accordingly. This kit requires the use of 18″ wheels. Since wheels vary from brand to brand, we cannot guarantee fitment for any specific set of wheels. Based on Ford’s specifications listed here, the Ford Racing M-1007-S1895 and M-1007-S1895B 18″ wheels, or equivalent, have been verified to work. that your pre-order will secure your spot in line. 2015 FTR Promo is Live! We spent some time with a local filmmaker, Derek Maves, working on this little 30-second promo for FTR, showcasing some of what we do. Give it a watch! 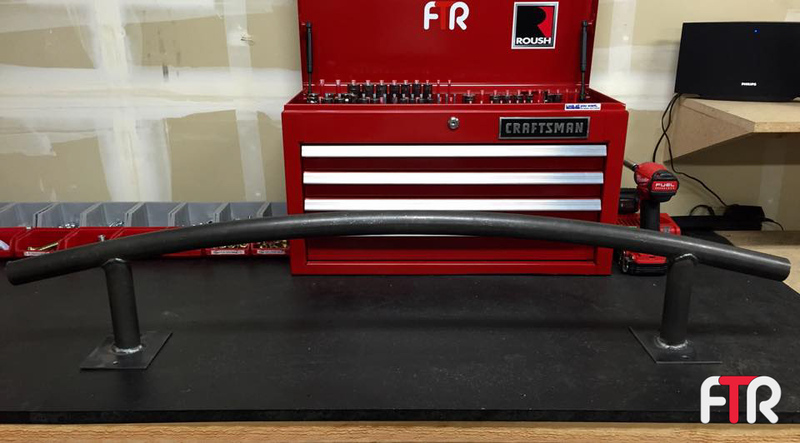 A while back we developed a tubular bumper (aka “bash bar”) for SN95 chassis mustangs, and we’ve now released a new, updated version. It weighs in at 4.5 pounds, less than half the weight of the stock assembly that it replaces (~12lbs). This weight is critical, especially since its directly on the nose of an already front-heavy car.